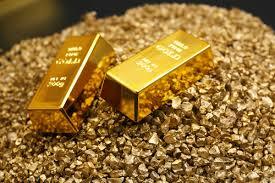 In the view of analysts at HSBC, gold is seen building a base, as the commodity manages to hold $ 1200 barrier. “This despite ongoing tightening monetary policies. We think gold may edge higher, but with little fanfare and expect the market to face headwinds. We are moderately bullish ... we anticipate moderately higher gold prices this year and in 2018. That said, we expect tighter monetary policies and low inflation globally to create headwinds to rallies. Tightening actions by the Fed and other major central banks create a negative backdrop for gold prices. But increased financial market volatility would be gold-friendly. We expect a mild recovery in physical demand including jewellery albeit from relatively low levels.